Popular children’s television programs such as Sesame Street pioneered the idea of the stickiness factor, in an attempt to maximize the retention of the educational content while not losing its entertainment value. 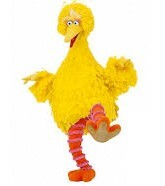 On Sesame Street, Big Bird, Snuffleupagus, and various famous visitors, including James Earl Jones, sing and dance, and teach the alphabet and how to get along. Studies showed that kids who watched an hour a day of Sesame Street performed better in school than the kids who didn’t – all the way through high school. Sesame Street watchers were – and still are – invited to actively respond to what they are seeing on the screen. Kids will call out answers to questions, hop on one foot when invited, and otherwise engage with the content. As Malcolm Gladwell notes in The Tipping Point, stickiness is largely about creating natural engagement. The exact same principles apply in modern marketing. Prospects are, with every action, making decisions on whether or how to proceed with your marketing message. When an average of only 25 percent of a web page is actually read, and the average time spent on a website is a scant 2-3 minutes, you simply do not have enough time to properly engage their viewers with a ‘sticky’ message. You have to get creative in order to catch your viewers’ attention and keep them engaged. The solution is to ease your viewer into educating themselves with highly engaging, interactive content. By having content that invites exploration, you increase viewers’ total engagement time while simultaneously teaching them about your organization and your offerings. That way when they do pick up the phone, they’ve already qualified themselves as a better prospect. Does that mean you’ll be getting fewer phone calls? Perhaps. Does it mean that those who do call are closer to saying yes? Quite possibly, making the time you spend on prospects much more effective for both you and your prospect.